Embracing scuffs and dirty laces on trainers isn’t something I can do. I like keeping my trainers looking as good as they can, but know at some point they are going to get that first mark on them and that’s where a brand like Jason Markk come in. 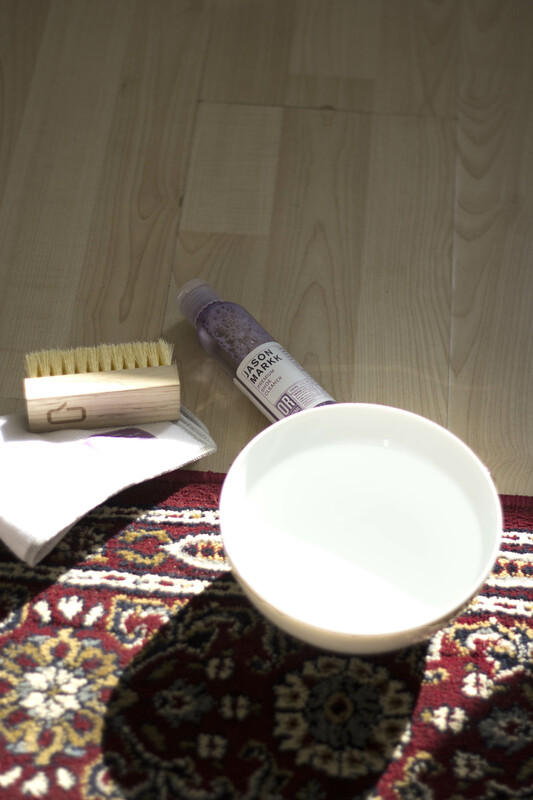 Trusted by sneakerheads, I’ve made this cleaning guide with their products they sent to me to see how well I can clean up my trainers. Jason Markk have a range to suit both a quick and a more extensive clean if you’ve got the time. Their quick wipes have a two-side texture meaning you can get the more tougher stains off and then wipe off any residue with the other. 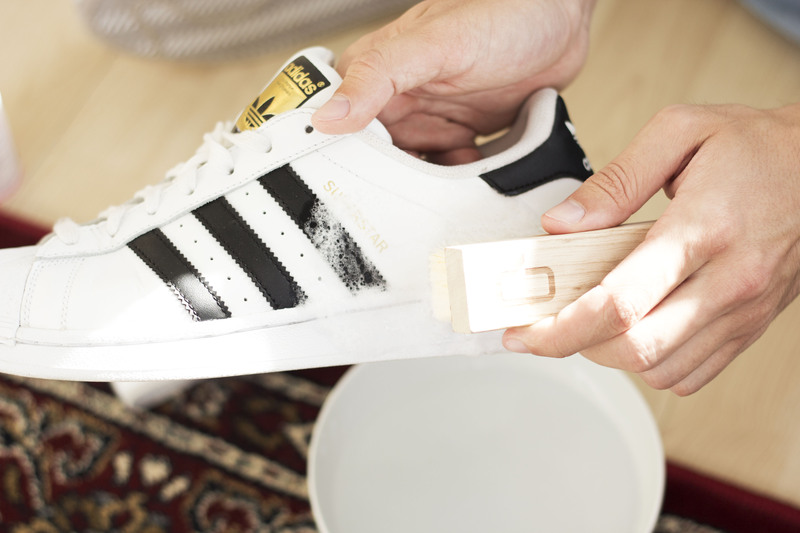 Personally, I like to take an hour or so at the weekend to clean most of my trainers when they need doing, but I can see why the wipes would come in handy. Maybe one for the bag. I’ve been using the essential kit that includes a 4 oz. 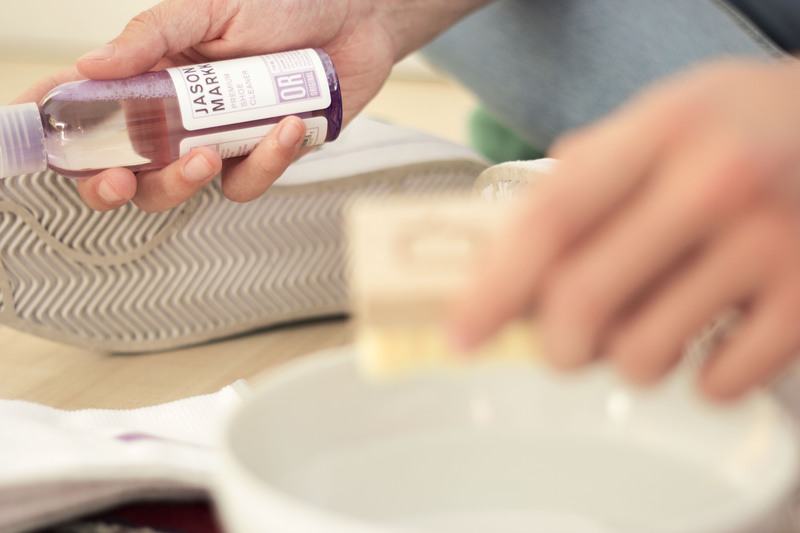 bottle of our premium shoe cleaning solution and brush with the microfiber towel. You could probably use any towel to wipe away any dirt left on the upper, rather than the Jason Markk towel if you want to cut a corner. I found myself using a circular motion which sees the solution foam up and gives a real satisfying clean. I haven’t had any major scuffs or marks to remove yet, but I’ve been told repeating the steps a couple times over should save you and your trainers. Then there are, in my mind, a couple add-ons that aren’t necessarily needed but do give you more cleaning options. There’s a premium brush that is available separately from the essential kit made for cleaning more delicate materials and not primarily for the midsole. Then there is the ‘repel’ product, a spray that when applied causes liquids to slide off and gives your footwear a layer of ‘invisible protection’. So far, I've used the products a couple times to give my trainers a clean when I've seen even the slightest mark just so I could get used to the Jason Markk range and honestly it's worked really well, where only one mark on a pair of really, really old trainers has managed to survive the Jason Markk test. 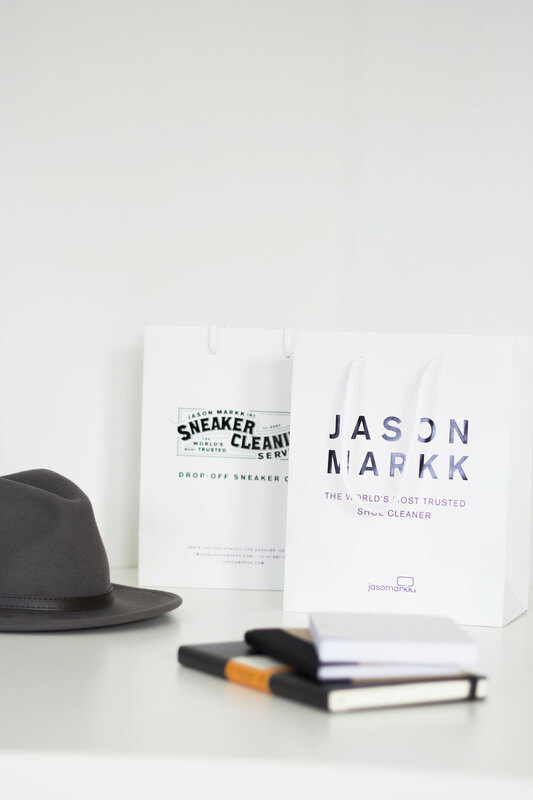 This cleaning guide was aided with the gifting of the Jason Markk products for me to test out, but as always my honest opinion on the products themselves.